Klayman: This Was Predictable as Congress Always Covers for Its Own: A Waste of Time by Tom Fitton! 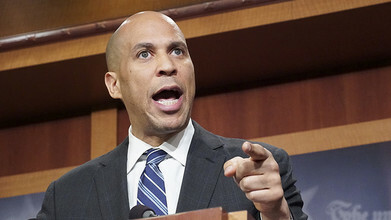 The Senate Ethics Committee has announced it will not act on a complaint against Sen. Cory Booker (D-N.J.), a potential 2020 White House candidate, for releasing "committee confidential" documents during the Senate confirmation hearing for then-Supreme Court nominee Brett Kavanaugh. Deborah Sue Mayer, the chief counsel and staff director of the Senate Ethics Committee, informed Judicial Watch, a right-leaning government watchdog group, that "no further action is appropriate" in response to Booker's unauthorized release of confidential documents.